Ah, the alluring orchid. 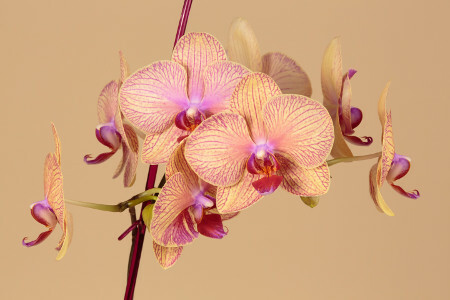 Distinctive, mysterious and beautiful, orchids immediately conjure up vividly rich and exotic associations. The name 'orchid' derives from ancient Greek where the flower was synonymous with virility. Other connotations include love, beauty, luxury and strength. Throughout history, various cultures have recognised the beneficial properties of this rare and delicate flower. In traditional Chinese medicine the flower has been used to battle coughs and lung illnesses whilst the Aztecs were though to have drank a concotion with vanilla orchid and chocolate to achieve strength. The rarity of orchids makes them synonymous with luxury and refinement; certain tropical orchid species can only be found in prohibitive environments and have only been observed a few times in the wild. Orchids were also the source of inspiration for a novel which Charles Darwin wrote on the subject of cross-pollination. It's important to remember that the specific meaning of sending orchids to someone can vary depending on the colour. Pink indicates femininity and grace and it's interesting to note that pink orchids are popular for 14th wedding anniversaries. Purple means royalty and dignity whilst red signifies passion and desire, making it ideal for romantic occasions. White orchids are used to symbolise innocence, elegance and beauty whilst yellow represents joy and new beginnings, ideal as good luck gift. Orange orchids symbolise enthusiasm and boldness whilst green is synonymous with health and longevity, making this colour well suited to get well soon gifts. 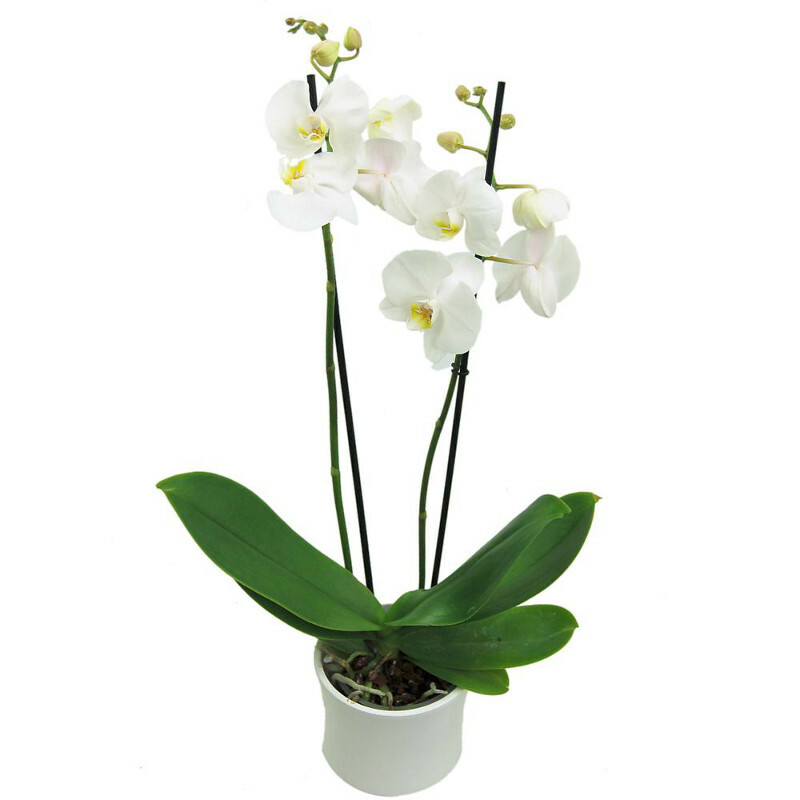 As you can see, the orchid is a versatile flower suitable as a gift for a range of different occasions. If you would like to send orchids to a friend, relative or loved one, check out our Phalaenopsis Plant, AKA the Moth Orchid. Elegantly tall and slender with eye-catching white flowers, this eloquent plant would make for a lovely house-warming gift as it would hold pride of place on any mantlepiece or windowsill.